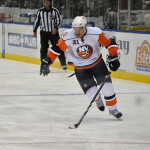 Jaroslav Halak picked up his 33rd win of the season on Friday to set a New York Islanders record for wins in a season. 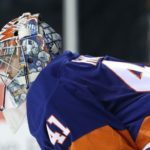 Halak was sharing the record of 32 held by Billy Smith, Rick DiPietro and Chris Osgood before the win over the Calgary Flames on Friday. Jaroslav Halak is 33-13-0 with a 2.46 GAA and a .911 save percentage. It has always been said, that the goaltender is the most important position on a hockey club, Jaroslav Halak has proven that this season. I said right from the get-go the Islanders would be a playoff team because they got a legit number one goalie between the pipes over the summer. I doubt anybody would have saw it going this good. 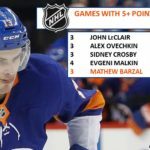 the New York Islanders are tapped as one of this season surprises, with 41 wins and 84 points to their name already in 2015. Halak, is bailing his young team out with timely big saves. This allows the teams youthful creativity to show up on a nightly basis. If you are like me, and took a risk, on this guy, to have a monster season. You are sitting pretty atop your fantasy hockey league most likely. Congratulations, Jaroslav Halak, on setting this record. 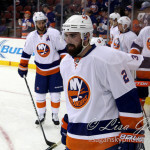 Now, please don’t turn out like, Rick DiPietro. 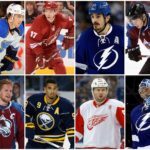 I know the New York Islanders’ fan base is feeling like they are reliving the dynasty days at the moment, and If anyone deserves it, it’s them. However, deep down what hockey fans crave is that consistency of having a chance to win the Stanley Cup, year after year.